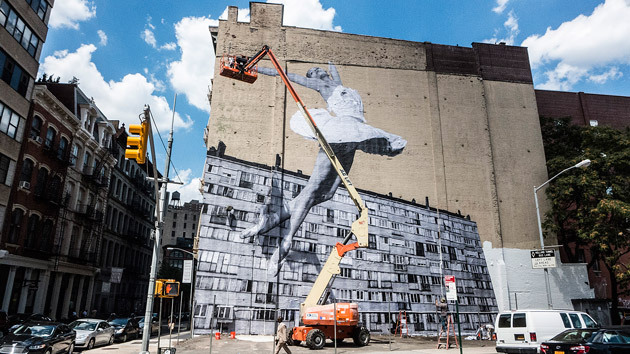 French artist JR was installing a new piece in Tribeca, Manhattan and we were by chance stopping straight across the road. His work is usually on a epic scale and the corner of 6th Avenue and Franklin Street was no exception. The finished piece, completed with the aid of a cherry picker and a few installers, took shape over a 24 hour period. Great stuff indeed.